Bob’s Hobby Center – Located at 540 North Goldenrod Road, in Orlando, Florida, Bob’s stocks a selection of low-to-mid-power rocketry products. The store’s phone number is 407-277-1248. Michael’s Arts and Crafts Stores – Some of the local Michael’s stores sell model rocket products. Central Florida Hobbies – Located in Orlando at 5600 W Colonial Drive (the intersection with Kirkman Rd. ), Central Florida Hobbies offers a selection of model rocket products. Their phone number is 407-295-9256. Colonial Photo and Hobby – At the corner of Mills Avenue and Colonial (634 N Mills Ave.) in Orlando, Florida, Colonial Photo and Hobby stocks a selection of model rocket products. Their phone number is 407-841-1485. Hobby Lobby – With several stores in the Orlando area, Hobby Lobby sells a selection of Estes model rocket kits and engines. There is a Hobby Lobby store at the intersection of Tuskawilla RD and Red Bug Lake RD in Winter Springs, not far from the ROCK launch site in Oviedo. Pep Boys – Some Pep Boys auto parts stores sell model rocket kits and motors. In particular, the store in Oviedo on Alafaya Trail, not too far from the ROCK launch site, sells engines and kits. High Fly Hobbies – Located at 200 Orange Avenue in Daytona Beach, Florida, High Fly Hobbies carries all of Estes’s standard rockets and combination packs as well as the company’s standard A through E motors. High Fly also sells the Estes Pro Series kits along with Aerotech’s larger E, F, and G motors. JonRocket.com – JonRocket.com is one of several vendors attending local rocket launches in Central Florida. 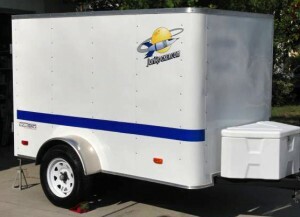 JonRocket.com’s trailer and tent can be found at most ROCK and NEFAR launches. JonRocket occasionally attends TTRA launches. JonRocket.com – JonRocket.com offers a large selection of model rocket kits, parts, and supplies. Orders over $40 ship for free to US addresses.